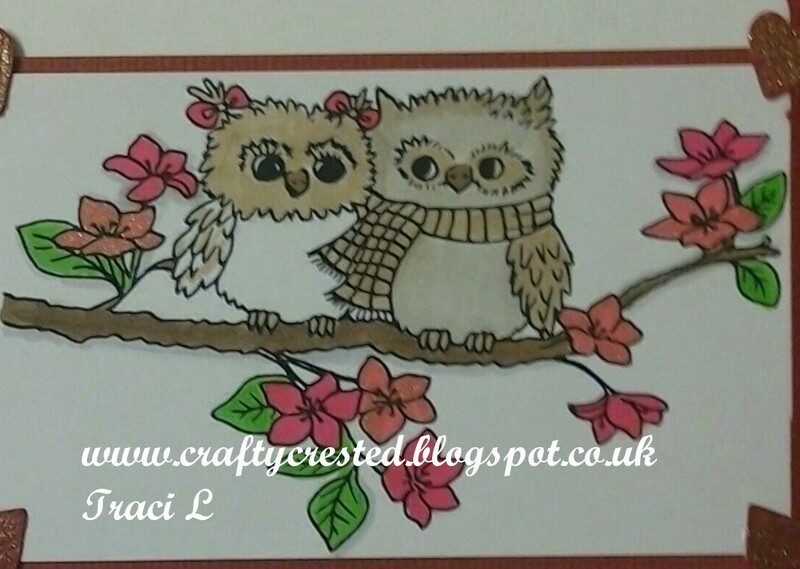 Hello Traci, A beautiful project and image which you have coloured so beautifully. 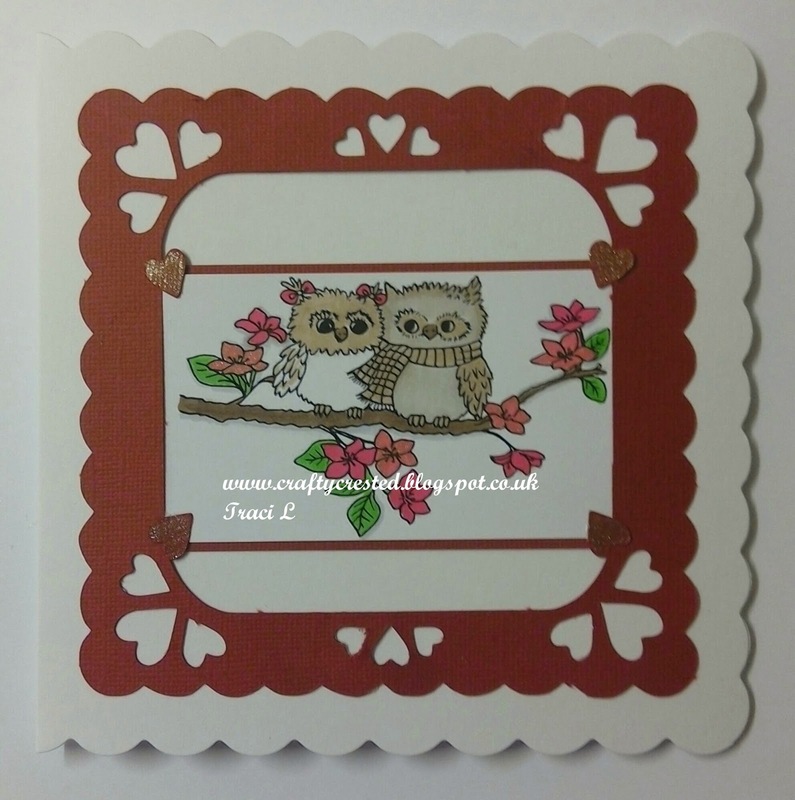 Love those sweet owls! The frame you used is so pretty! 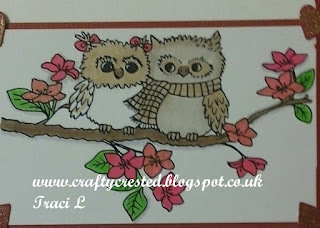 Such a cute pair of owls! Thank you for sharing them with us at MY Time To Craft. Thanks for sharing your lovely card with CRAFTY FRIENDS 'Animal/Bird' Challenge... i love those little owls... good luck and we hope you will join us for our next challenge.